Most of the world's developed countries have a government sponsored single payer medical insurance system, separating entitlement for medical services from employment. A single payer system allows for better distribution of population risk pools and facilitates better cost control of medications and medical services. 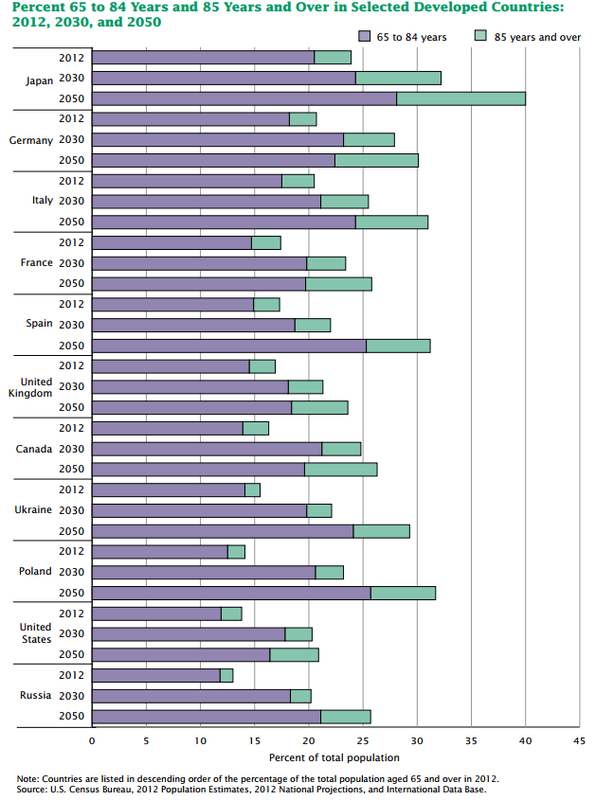 Demographic studies show that in all the countries where a single payer, government sponsored medical insurance exists, population life expectancy has been constantly on the rise. 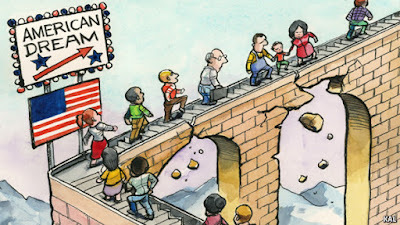 The only exception in the developed world in its approach to healthcare is the United States. 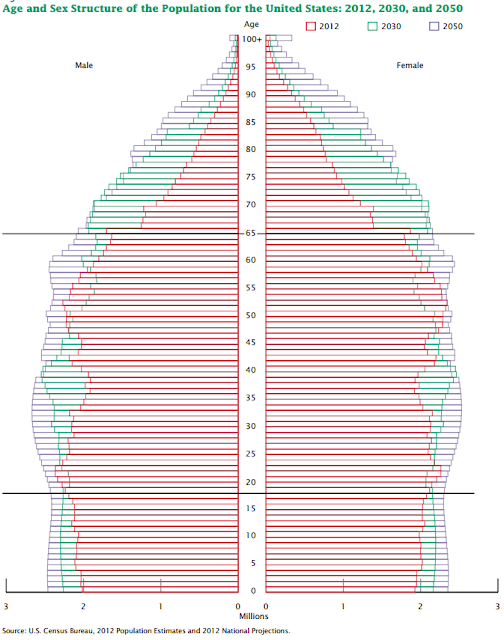 Interestingly, life expectancy of the U.S. population is the lowest (31st. place) in the developed world, according to the latest World Health Organization survey (see: https://en.wikipedia.org/wiki/List_of_countries_by_life_expectancy). Further, a recent articles published in the Wall Street Journal claims that life expectancy for certain groups of the U.S. population is on the decline (see: Life Expectancy for White Americans Declines). Unfortunately, the closest effort to controlling runaway medical costs, while serving the population healthcare needs, has been the Affordable Care Act (ACA), otherwise known as "Obama Care". 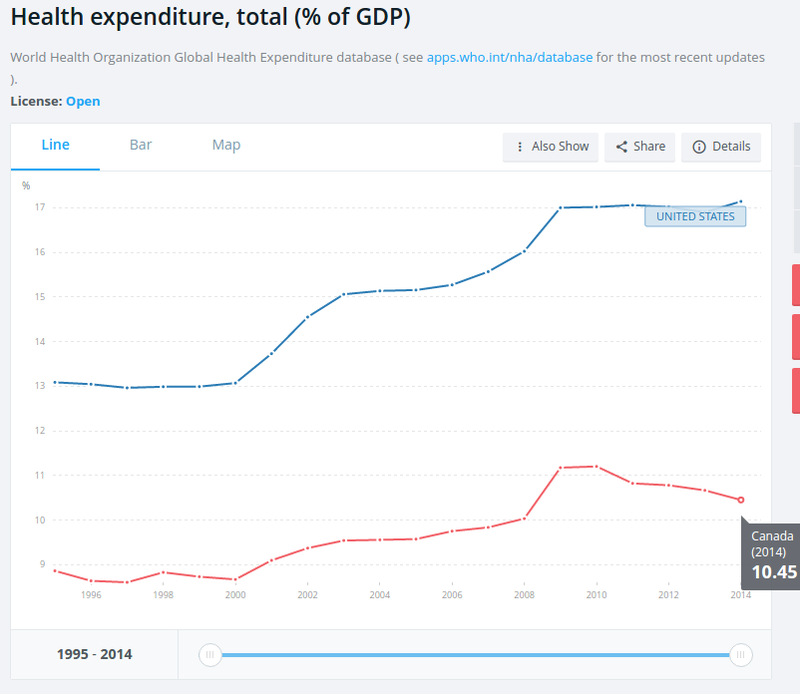 Since the U.S. spends more than any other developed nation in the world on healthcare (17.3% of GDP in 2014) there is big money to be gained (or lost). Since these costs are expected to increase dramatically, as the Baby Boomer population is entering retirement age, congress must deal with cost controls or face bankrupting the U.S. economy in the next decade. 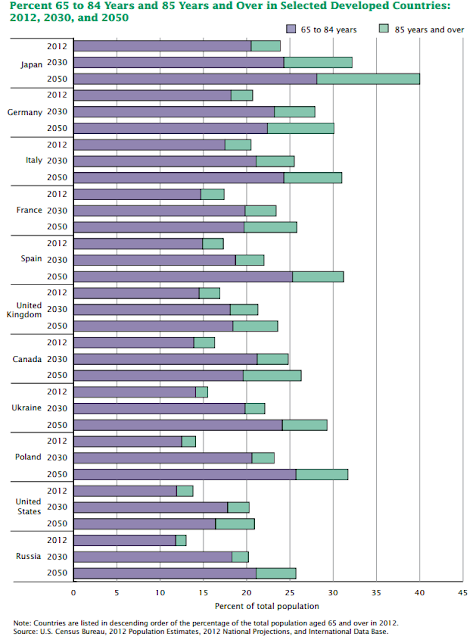 Interestingly, Canada with its single-payer healthcare system is managing to spend almost half as much as the U.S., while maintaining a 12th place in population life expectancy vs. the U.S., which is in 31st place. In spite of poisonous rhetoric that was frequently blasted by politicians during the last U.S. elections cycle, Government sponsored medical insurance coverage seems to be more popular than ever before, even at its currently less than perfect form. It is becoming clear that as the number of self-employed individuals who are too young to be covered for medical insurance under Medicare, is increasing, popularity of the Health Exchange is rising. Such individuals are not covered through a large employer risk pool and therefore are forced to pay the very high premiums that most insurance companies charge for their individual coverage plans. Demographic studies show that the "freelance" (self-employed) segment of the U.S. domestic workforce, is rapidly rising and is constantly being under-served. With the expectation of rising automation in the workplace, due to Robotics and Artificial Intelligence the number of workers joining the ranks of the self-employed will balloon over the next 10 years. What will Congress do to deal with this population? A recent New York Times article covers the issues associated with the rising popularity of the Health Exchange. The article is entitled: Health Exchange Enrollment Jumps, Even as G.O.P. Pledges Repeal. About 6.4 million people have signed up for health insurance next year under the Affordable Care Act, the Obama administration said Wednesday, as people rushed to purchase plans regardless of Republican promises that the law will be repealed within months. The 6.4 million number represents an increase of 400,000 over a similar point last year. This data may contradict the notion of a "popular national mandate" to dismantle the Affordable Care Act , in favor of a GOP replacement plan. The increase in popularity of ACA medical insurance, facilitated through the Health Exchange, becomes even more interesting in view of almost across the board 2017 premium rate hikes that were imposed by most medical insurance providers, throughout the Nation. Want to Get Rid of Obamacare? Be Careful What You Wish For. It is clear that the two dominant parties are going to fight over the implementation of healthcare policies. At 17.5% of the current GDP, there is too much money in this basket for any lobbyist to ignore. Will the new administration and the GOP controlled Congress and Senate be able to implement a solution that will serve our national needs, the needs of the people? Is there truly a reasonable solution, other than a single-payer system that can fix the system? Your comments are welcome. Please share with your friends and relatives, by clicking on the icon(s) of your favorite social network. 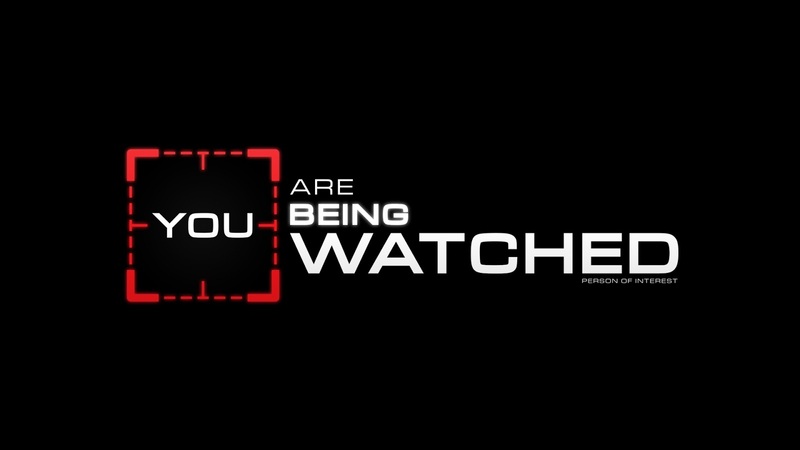 Who is Going to Watch the Government? Is it Truly the End of the "American Dream"? Lately there has been a lot of talk about the end of the "American Dream", namely the ability of younger generations to climb up the economic ladder and do better than their parents generation. It seems like populist campaign slogans like Donald Trump's "Make America Great Again" resonated well with people who voted in the last Presidential Election. However, beyond the political debates and the spin doctor speeches, is there real reason to believe that there facts behind the perception by majority of Americans that the economic future of their children is gradually fading away? 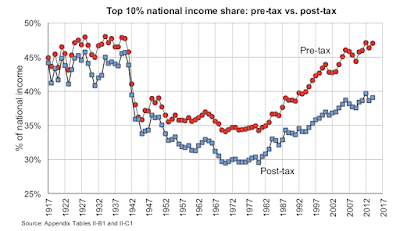 Are there facts behind the public notion that income inequality is rising to the point that a new oligarchy is replacing Government, by owning most of the wealth in our country? A freshly published research paper by the NATIONAL BUREAU OF ECONOMIC RESEARCH, may shed better light on debated facts. The paper authors: Thomas Piketty, Emmanuel Saez, and Gabriel Zucman, are world renowned researchers, who are known for their meticulous studies of complex economic issues. 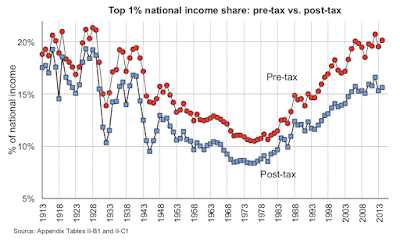 This paper combines tax, survey, and national accounts data to estimate the distribution of national income in the United States since 1913. Our distributional national accounts capture 100% of national income, allowing us to compute growth rates for each quantile of the income distribution consistent with macroeconomic growth. We estimate the distribution of both pre-tax and post-tax income, making it possible to provide a comprehensive view of how government redistribution affects inequality. 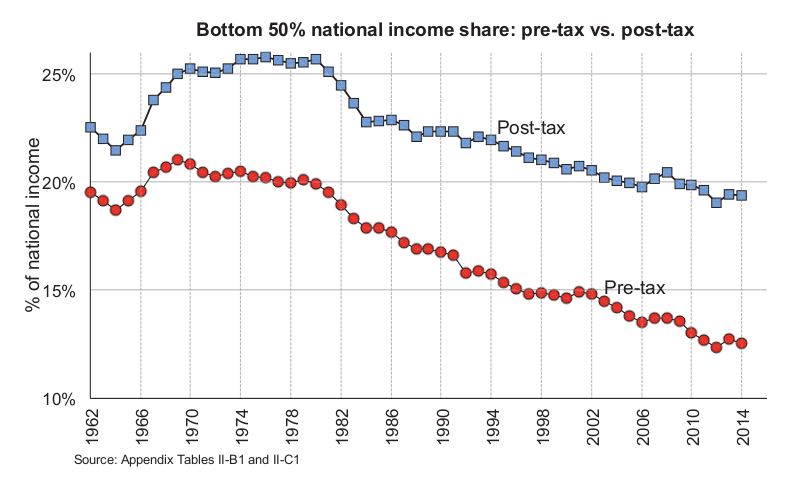 Average pre-tax national income per adult has increased 60% since 1980, but we find that it has stagnated for the bottom 50% of the distribution at about $16,000 a year. The pre-tax income of the middle class—adults between the median and the 90th percentile—has grown 40% since 1980, faster than what tax and survey data suggest, due in particular to the rise of tax-exempt fringe benefits. Income has boomed at the top: in 1980, top 1% adults earned on average 27 times more than bottom 50% adults, while they earn 81 times more today. 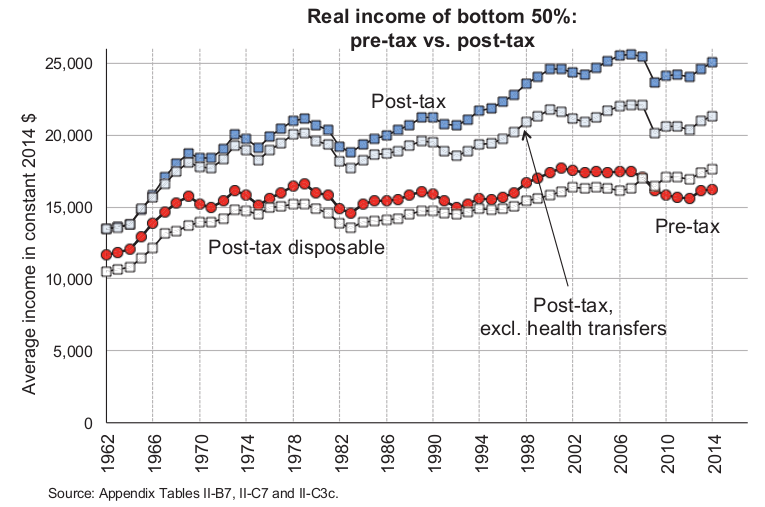 The upsurge of top incomes was first a labor income phenomenon but has mostly been a capital income phenomenon since 2000. 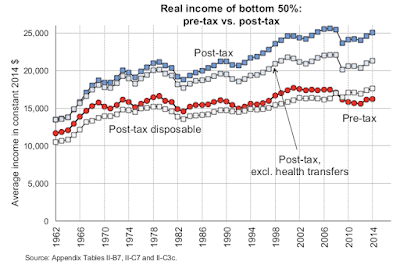 The government has offset only a small fraction of the increase in inequality. The reduction of the gender gap in earnings has mitigated the increase in inequality among adults. The share of women, however, falls steeply as one moves up the labor income distribution, and is only 11% in the top 0.1% today. 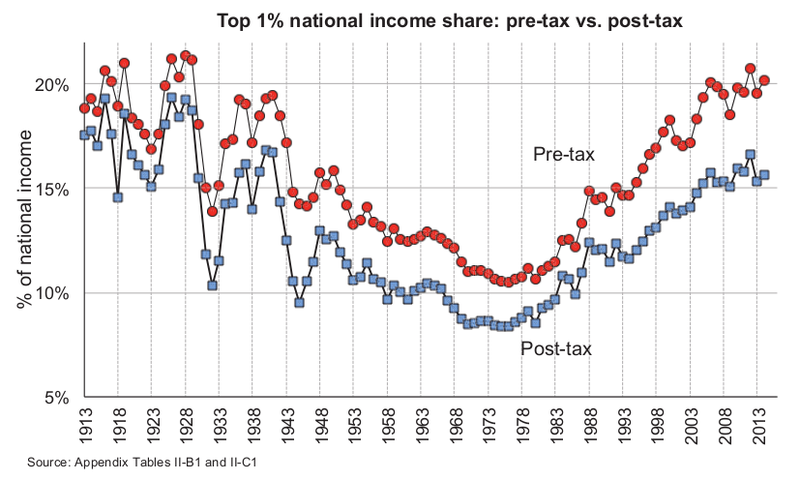 Below are some of the more meaningful charts, showing the income distribution trends of the bottom 50% of American tax payers, vs. the top 10% vs. the top 1%. You can click on each one of the images below to enlarge the details. According to an article in PR Newswire Diane Bryant, Of Intel Corporation, To Join United Technologies Board Of Directors effective January 1, 2017. Apparently, Intel Corp. brisk Data Center business is running so extremely well, leaving Intel's top executives with plenty of spare time to make money on the side. 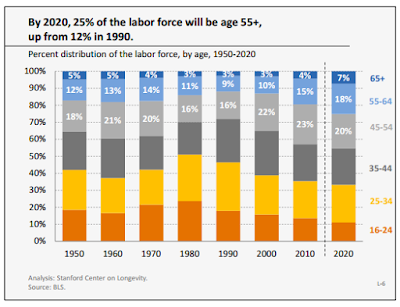 In July 2013, Stanford University published a report regarding the economic effects of the U.S. workforce aging. Though the report does not directly address causality, it is not a new revelation that companies continue to eject employees who are paid at the upper-end of the pay-scale, in order to show more "beautiful" numbers on the quarterly reports, without regard to maintaining functionality or productivity. Cannibalization of the workforce is an easy way for corporate management to retain the stock value in times when their lack of insight and risk aversion seem to rule the day, and their resulting ability to demonstrate growth are close to nil. The enormous gap between top management compensation and worker compensation entices company executives to focus on their bonuses and "golden parachute" exit plans by putting the business emphasis on short-term financial reports, frequently at the cost of risking the stability and long term future of the business. Too many times we see a publicly traded company that demonstrates long-term positive income stream, however lacks a daily claim for short-term growth, being considered a stock market failure. The prediction of flat growth curve in world economy for the next decade and beyond has been discussed in many newspaper articles and books; therefore I will not cover this issue here. The common factor coming out of most report published on these subjects is that employers will not continue to offer generous benefits plans on top of increasingly higher salaries to their employees and most companies will resort to cost cutting measures including automation and reduced in-house employment. For those of you who are willing to exercise free will and take some risk there is the avenue of self-employment. 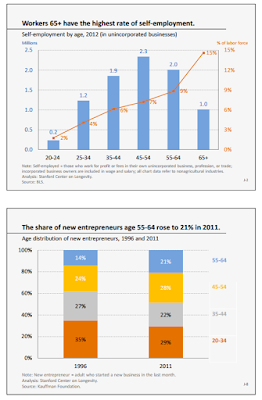 The charts below (taken from the Stanford Report) demonstrate that the future is leading us into this direction, whether we like it or not. 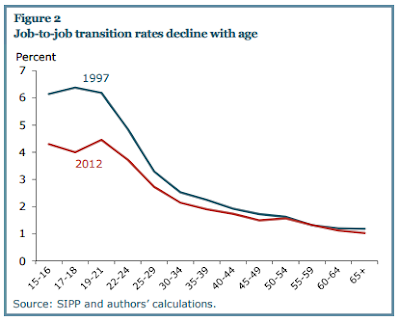 The most striking information that I learned from the last two years of studying the subject, is that it looks like the U.S. and the rest of the developed nations are going to face a shortage of skilled labor force over the next decade or two, due to the massive retirement of the Baby Boomer generation. This irreversible demographic trend will present us with some upheaval, as well as a lot of new opportunities, for those who are willing to pursue them. I highly recommend reading the report composed by the Conference Board at this link: What Labor Shortages Mean for Your Business. 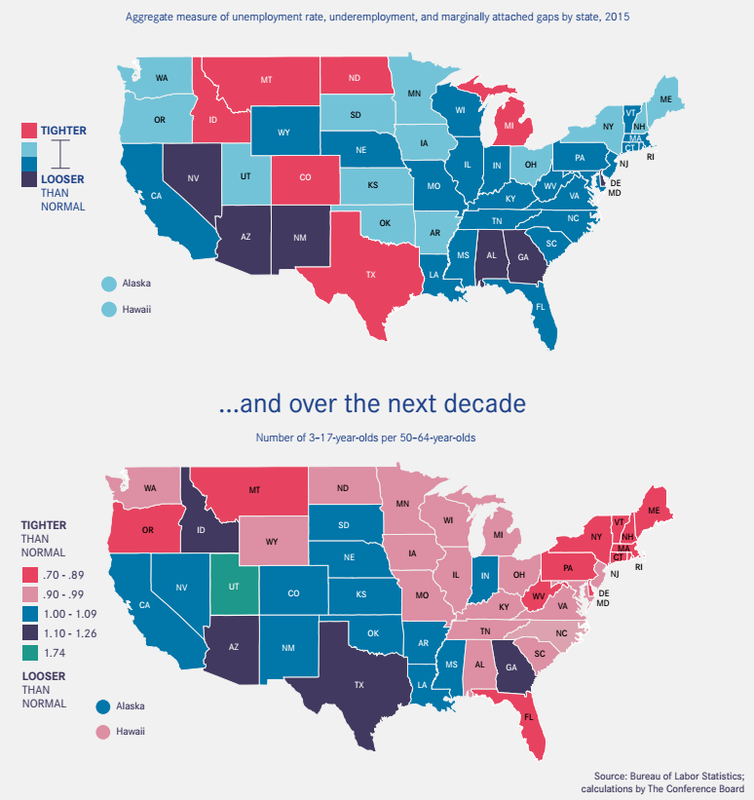 The maps below show how skilled labor demand, due to major demographic changes are going to affect the job market for continental U.S. Skill level and ability to put common sense into a complex business situation is typically better handled by older and more experienced workers. If company executives are getting rid of older employees in order to cut on payroll and employee benefit programs today, they may find themselves in trouble tomorrow. The lack of long-term perspectives and practical experience gathered over the years, gives older employees a business advantage that cannot be easily matched by younger and inexperienced employees. This fact can be easily established when reviewing all recent job listings on the market--employers are looking for "experienced" employees, yet expect them to also be young, cheap, and peppy all at the same time. This "wishful thinking" approach will not stand the test of reality for very long. Employers will get what they pay for. I contend that what this situation translates to is creation of new opportunities for experienced workers who are adept and highly productive and are wiling to forgo the typical corporate employee benefit plans in favor of high hourly wage and independence from any particular employer. In other words--highly compensated freelance work. The focus of this article is on Long Term Unemployment and the demographic forces that have shaped and will continue shaping the domestic U.S. economy in the years to come. Population demographics presents us with facts that are almost as sound as the laws of physics. 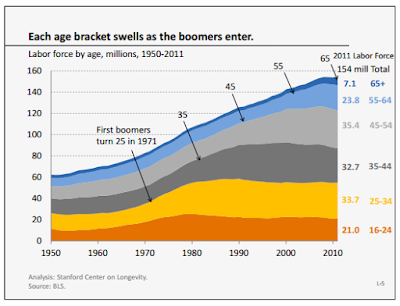 Demographic trends cannot be denied by politicians, unlike climate change theories. Instead, I tried to understand what is the underlying dominant factor, affecting the U.S. domestic job market. The official unemployment statistics, tracked by the U.S. Government, are shown in the interactive chart below. As of November 2016 the tracked unemployment rate is measured at 4.6%. 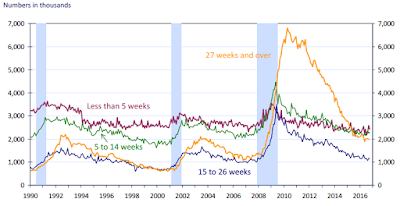 The unemployment statistics shown in the graph are used to evaluate the degree of the U.S. job market tightness and is utilized by the Federal Reserve Bank (among other factors) as an indicator for controlling interest rates and keeping inflation in check. It is however, clear that the measured values only represents short term unemployment which is limited to a running window of 26-week. The 26-week period is dictated by the terms of the U.S. national unemployment insurance program and the data tracked by this program only covers active unemployment claims. Currently there is no reliable way to track the unemployment term of workers who exhausted their 26-week benefits, because they are not required to report their status and the U.S. Government has no means to feel this information gap. Even though the reality reflected from the surveyed answers should not come as a big surprise to most of us, I still highly recommend reading the Harris report summary, retrievable through the links provided at the bottom of this article. Regardless of populist rhetoric, of which we hear an earful after the 2016 November elections, I believe that none of the current political parties, or for that matter, no U.S. President, can offer a practical solution that will provide a lasting cure to long term unemployment. Not without enacting fundamental changes that would be unpalatable to most of the U.S. population. Not unless a major crisis like a major epidemic or WW-III situation develops. The underlying facts leading to long-term unemployment as a permanent feature of the American (and the world) economy are derived from demographic growth limits. The golden age of the American economy came after WW-II, when the U.S. industry was fully mobilized, women entered the job market in significant numbers and the decimated economies of Europe and Japan depended on U.S. financing through the Marshall Plan. Economic growth came from the tremendous expansion of demand due to high birth rate of a young worker population and the consequent generation of commodities, goods, and services, consumed by the ever-rising tidal wave of the Baby Boomer generation. Expansion of demand for a higher standard of living allowed domestic markets to continue growing and as long as younger population continued to surge behind the leading edge. 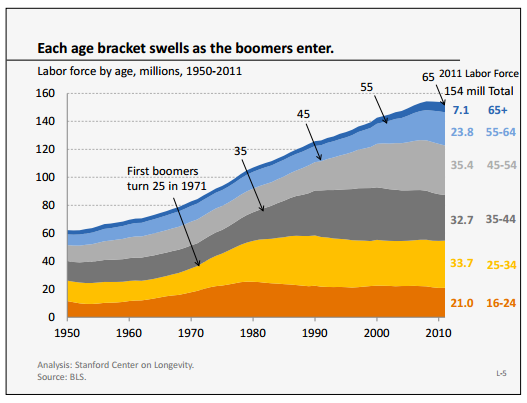 However, this growth could not be sustained forever, since at some point in time, after several decades of dominating the labor market, the baby Boomers began retiring. 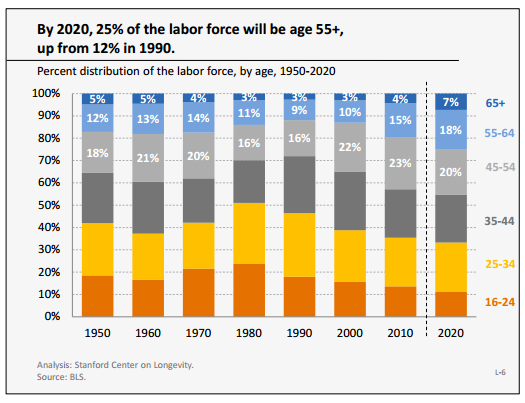 The high birth rate of the Boomers era was not repeated in subsequent years and as a result, as a the chart below demonstrates, 25% of the labor force will be over 55 years old by 2020. This represents more than double the aging population growth rate, compared to 1990. The interesting phenomenon in the U.S. doemestic job market is that over the years we are witnessing a constant decline of job-to-job transitions. 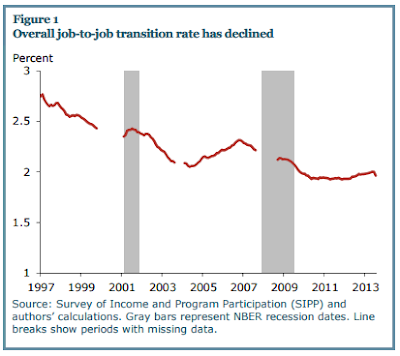 An article entitled "Job-to-Job Transitions in an Evolving Labor Market", published in FRBSF ECONOMIC LETTER co-authors CANYON BOSLER and NICOLAS PETROSKY-NADEAU claim that statistical evidence indicates that the U.S. domestic labor force becomes gradually less portable as the years go by. This is an interesting phenomenon, since the "pride and joy" of various factions in American politics, claiming the superiority of the American economic system, was the argument of ultimate job market freedom and portability. Even more interesting is the indication that job portability actually declined over the years, even faster for young workers, compared with their older peers. 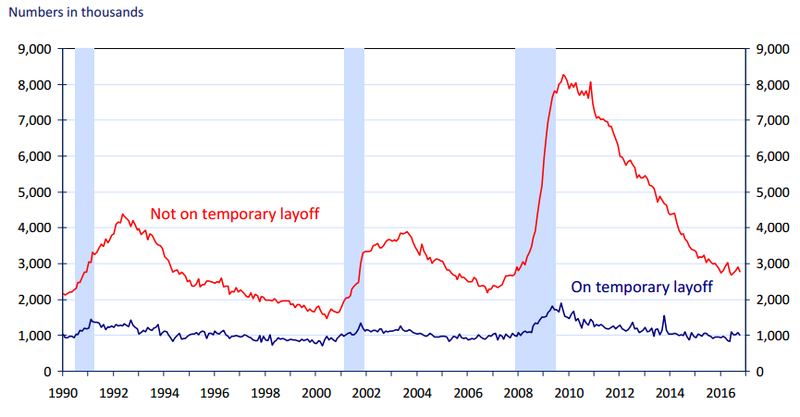 As we can see from the chart below, job portability for 35 year old workers was currently reduced to under two percent of the total workforce. Is this an indication that the vast majority of the jobs that the domestic American economy can produce are already taken? 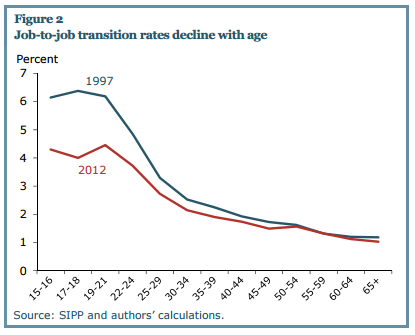 Who is going to support the needs of the aging population while the job market is ruled by stagnation of income, due to lack of competition and job portability? Luckily, as Americans our job market stagnation are not as bad as they are in the rest of the developed world. In addition, as the chart below indicates, most of our aging population will not live as long as will the population of many other developed countries, like Japan, Germany, Italy, France and many others. The Stanford Report provides an extensive coverage of the aging U.S. domestic workforce with information that is easy to read and digest. I highly recommend fetching the PDF version of the report through the link provided at the bottom of this article. As the chart below indicates, with about two million Americans living beyond their 90's by 2050 and over 50 million people between the age of 65 and 85, the American economy is not ready for the imminent future. Note that you can enlarge the detail level of all images provided in this article, by clicking on them. Your ideas, comments and reservations are welcome. If you like this article, please share with your friends and relatives on your favorite social networks. Click on the social network icon of your choice, located below each article, for sharing content of articles on this web site. In the Summer of 1975 I built my first computer, using TTL logic parts (Small Scale Integration). Though my 9-bit creation was not very useful for practical purposes, I was very proud of my achievement when I finally made it to work and learned a lot from the design and building process. This project, eventually led me to focusing on computer architecture and research computer technology on a more professional basis. Nowadays that microprocessors are so ubiquitous, very few people actually know how they work. One person made his life goal to bring this knowledge to the masses. James Newman, a Brit living in Cambridge, England committed may years of his life and about $50,000 to build a complete 16-bit computer, made of discrete transistors, resistors, LEDs and other components. The Megacomputer as James refers to his creation, weighs about 500 Kg and consists of 42,400 transistors, 50,500 resistors, 10,500 LEDs, and 272,300 hand-soldered joints. The Megacomputer is a fully functional machine that is running at the whooping clock frequency of 8 KHz while performing 16-bit integer calculations. 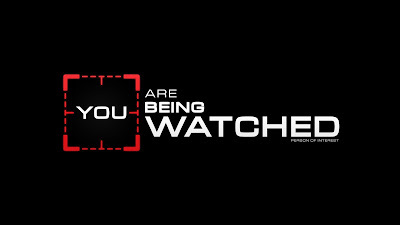 Being a long-term Intel Corp. stock holder, I am becoming very concerned about the pattern of behavior practiced by Intel Corp. top executives over the last three years. It is becoming clearer by the minute that top management is clueless about how to utilize the company human capital and where to take the company into the future. The large number of PR appearances by the current CEO, trying to make a splash in the news may be an indication that selling PR is the current core focus of the company. Apparently, executive management's assessment of their internal human capital is so low that they have resorted to spending very large amounts of capital for purchasing other companies. From my recent conversations with friends and colleagues who work at Intel, I understand that Intel Corp. has significant problems in plans execution due to perceived management incompetence and lack of trust, both inside internal organizations as well as among external organizations. The latest sales figures in the Data Center, crown jewel business unit, did not do well for Intel stock either. Yesterday, an article published in ZDnet (Intel announces new investment $250M in autonomous driving) caught my eye. On the face of it I was enthused about the message, until I began reading the content. 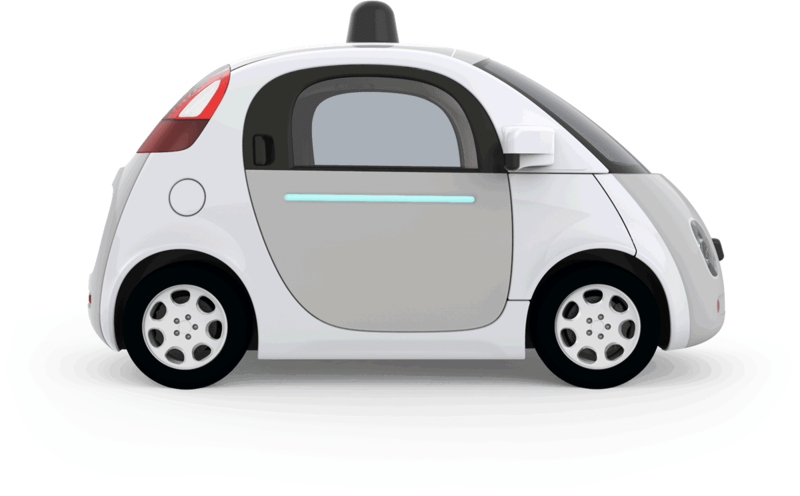 It turns out that the source for this article was a blog post by no other than BK, who published an article entitled: Data is the New Oil in the Future of Automated Driving. 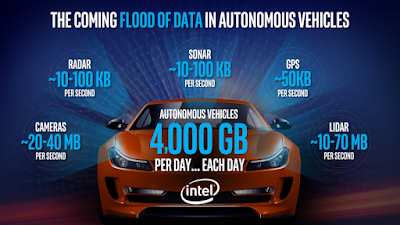 In this article, BK makes an argument that autonomous cars are going to produce a very large amount of data on a daily basis and Intel Corp. is in the best position in the industry to fulfill the requirements for handling this data deluge. The graphic accompanying BK's article is shown below. It is not very clear to me what BK is trying to say in this blog article, other than implying that autonomous cars would contribute to a massive growth of the Data Center business. Regardless, let us examine this wishful thinking idea. If we take it at face value and begin looking at BK's message, starting with the largest number in the above picture, 4TB of data a day per car is an impressive rate requirement for today's technological reality. The open questions are: what does this number represent? How is this number derived? Does the number represent actionable information? The need for communication infrastructure to move 4TB/day of data from all new cars deployed on the market seems like a good opportunity--too good to pass up for companies like AT&T, Verizon, T-Mobile, etc. Why is it that we don't hear much from these communication infrastructure titans on this subject? In the absence of communication infrastructure that could handle such a massive amount of data, having excessive Data Center capacity does not mean much. 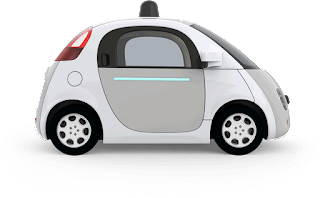 There is even the fundamental question of whether it would be wise to connect autonomous cars to Data Centers (cloud) if potentially this would open new security vulnerabilities. 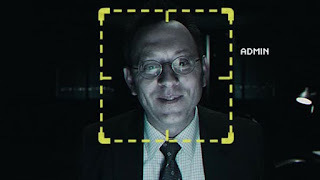 Are we not facilitating new avenue for a national adversary or a terrorist organization to inflict major damage on targeted transportation hot-spots by hacking into autonomous cars? Did we forget that some bad dudes have already used standard transportation vehicles (airplanes) to inflict physical damage upon U.S. lives and physical property in the early 21st Century? What does it take to hijack a million autonomous cars through the Internet and recruit them to do you evil bidding from a safe distance away? Assuming that the flow is limited to one-way (from car to Data Center) it is not clear why we need to transfer raw data to the data center at all. Most of the data collected from various sensors is aggregated anyhow, in the process of "making sense" of it during real-time processing. Most of the raw data becomes irrelevant in a matter of a few seconds, as the car continues moving. Unless, of course, your interest is to spy on the passengers (see: https://en.wikipedia.org/wiki/Person_of_Interest_(TV_series)). Regarding the data rates quoted in BK's blog article, even if I only look at the GPS sensor data rate that he is using, I already see a major flaw. Every GPS sensor that is suitable for mobile use and is available on the market today, can update its absolute position information only once per second. This behavior is derived from the inherent design limitations of the Civilian L1 carrier system. Some GPS sensors claim to provide faster update rate through post-processing and mathematical extrapolation of the GPS data. They claim to provide perhaps as high as 20 updates per second at a lower reliability rate. Time of Flight (TOF) methods can produce better dynamic accuracy; however they cannot be utilized within the current transportation systems due to lack of ground station infrastructure. Since GPS location information for automotive use only requires 2D data (Latitude/Longitude), this information can be simply represented as a pair of floating-point numbers. A floating point number is contained in four bytes of information. The pair of Lat/Lon information will therefore occupy only eight bytes. Assuming that some communication overhead is required for conveying Geo position from a GPS sensor we can increase the message size to 16 bytes per location report. Even at an exorbitant rate of 20 update per second we would need a communication rate of about 320 bytes per second. Even if we increase this rate to 500 bytes per second, this value is only 1/100th of what BK is claiming in his blog article. I do not wish to continue and dissect each one of the numbers in the presentation slide or the blog article to validate if what is claimed there are true facts. I believe that it is the responsibility of Intel Corp. to answer all of the above questions and either correct them or stand by their CEO's statements. If we take a different angle to the issue, perhaps BK meant to say that Intel Corp. is about to develop a Mega Chip that will incorporate all the elements necessary to implement an autonomous car on a single SOC. When I studied and researched distributed systems in the late 1970's and early 1980's, most of the ideas in this field manifested themselves in a large heap of papers and a few academic projects. The cost of hardware dominated the field and both machines and communication mechanisms were too slow to implement an effective and practical systems solution. In the 21st Century, this picture has dramatically changed as hardware became cheap and abundant and communication technology kept pace with the need to connect all parts of a system together. Though the major emphasis in the field was on large systems with homogeneous components, the low cost of computing hardware brought on the era of application-specific processing and with it the growth of heterogeneous distributed systems. The best example for such a heterogeneous system is the Smart Phone. Even though typically a smart phone has a component known as the Application Processor, in actuality, a complete smart phone system contains a multitude of compute engines (micro-controllers) that perform subsystem-specific functions, independently and concurrently with the application processor. A good example for such distributed functions are the radio-based subsystems (modems). Each radio-based interface, whether GPS, Bluetooth, WiFi, or cellular phone utilizes at least one embedded micro-controller. Same goes for the camera interfaces and the display controller. By nature, cars were a fertile ground for heterogeneous distributed systems, as electronic systems began replacing a variety of mechanical and hydraulic devices with electrical ones. Nowadays, all newer cars incorporate a multitude of computer controlled functions and these functions are completely distributed according to their designated functions while communicating among themselves via a common communication mechanism (typically CAN Bus). The above image demonstrates the typical functional distribution of autonomous car architecture. As cars go through years of service, internal subsystems tend to wear out or break down. Most servicing in today's cars is done by component or module replacement, rather than by machining or direct repair. If even a minor malfunction requires replacement of a mega-component, the economic advantages of the modular repair become moot. Safety and reliability considerations preclude the incorporation of a "single point of failure" anywhere within the system domain. From this perspective alone, there are great advantages to maintaining functional distribution and domain separation. Relying on mega-components to cover all functions is contrary to any safety-centered design philosophy. Most of today's sensors provide post-processing functions that reduce the data rate coming out of the sensor due to optimization algorithms implemented in the embedded controllers on-board the sensor. Being late into the game, Intel Corp. cannot offer significant cost savings by incorporating such functions in a future SOC. The significance of the flagship X86 ISA in the automotive market is close to nil. It is likely that Intel Corp. will have to compete with companies that ventured into the autonomous car market earlier. Companies like Nvidia and potentially Google and Apple. None of these companies were interested in a Mega SOC solution. They all put the emphasis on the higher-level application-specific architecture required for pattern recognition, classification, machine learning and decision making aspects of autonomous car architecture. Intel Corp. does not have any specific advantage in these areas of data processing and as mentioned earlier, the proprietary X86 ISA is quite meaningless for handling this processing domain. Spending $250,000,000 on entry into the automotive market may be the right move for Intel Corp., even if this move is so late in the game. However, if this strategic move is so loosely based on thin grounds as BK explained in his blog article, I remain extremely worried about my stock holdings value sinking again. If you like this article please share with your friends and relatives by clicking on the icon below, representing your favorite social network. 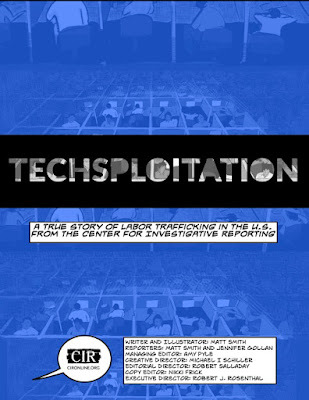 Though this story of labor abuse was revealed in the press, around two years ago, it is not very clear if changes have been implemented to correct corporate behavior when it comes to exploitation of the workforce. Without a doubt, the availability of cheap and easily exploitable alternative workforce, permitted high tech companies to play loose with their domestic workforce. With such exploitation opportunities at their disposal, companies chose to eliminate local workers who's salary levels were maintained at a relatively high level due to high demand and competition among employers. This is not exactly the level playing field that made the American economy so great in the past. If slavery is good for capitalism then perhaps we should all vote to be ruled by the "0.1%" oligarch class. Intel Corp. laid off more than 1500 employees in 2015, and shed about 6,800 during 2016, with an intention to lay off 12,000 employees by mid 2017. While the layoffs were taking place, Intel Corp. continued to hire employees at a lower compensation level. The company also employed the services of "job shops" of the kind mentioned in the articles listed in the reference section below. This is in addition to thousands of H1B visa applications that the company continued to apply for. I have a first person experience being involved in an Intel project that employed the services of Wipro Corp. to exploit a group of Indian software developers. I saw in my own eyes how they were forced to work 12-hour days, six days a week and report tremendous number of overtime hours to retain the bonus of their supervisor, who was a ruthless slave trader. Six of these individuals shared a small apartment during their stay and they earned a meager income compared to their American coworkers salaries. Most of these workers were severely demoralized and their productivity suffered as a result of the conditions under which they operated. Consequently, the project that they worked on was late by 18 months and was eventually cancelled. This resulted in multi-million dollar loss for Intel Corp. besides the opportunity loss incurred due missing the window of market opportunity. If you are concerned about this phenomenon of highly skilled American Workers being displaced from good paying jobs through exploitation of imported foreign workers, then convey your concerns to your elected representatives in Congress. 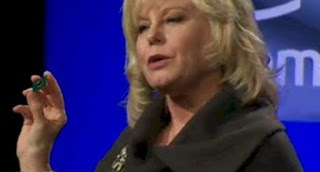 Top executives of high tech corporations are not on your side. They belong to the 1-percent class and for the last 30 years they voted with their feet to insulate their economic reality from you and me. Following the 2015 and 2016 layoff waves at Intel Corp. we have all become aware that layoffs have a long lasting effect on the workforce. 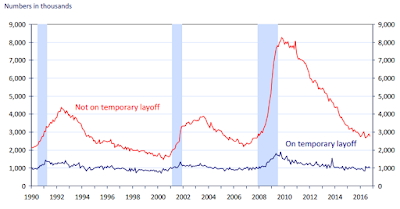 Statistics maintained by the Bureau of Labor and Statistics (BLS) demonstrates the long lasting effects of economic upheavals (recession) and the growing trend for longer periods of unemployment, following layoffs. The chart below shows that as of October 2016 about 25% of those laid off during 2016 have been unemployed for 27 or more weeks. The chart also demonstrates that long-term unemployment became significantly higher since the recession that followed the housing bubble burst in 2008. It looks like due to the limited capacity of the economy to expand we may not reach the 15% median in a long time, barring complete restructuring of the economy. Note that one out of four people (25%) who lost their jobs in 2016, will face unemployment for 27 weeks or longer. According to the chart below, approximately 3,000,000 people experienced a permanent job loss at different times, during 2016. 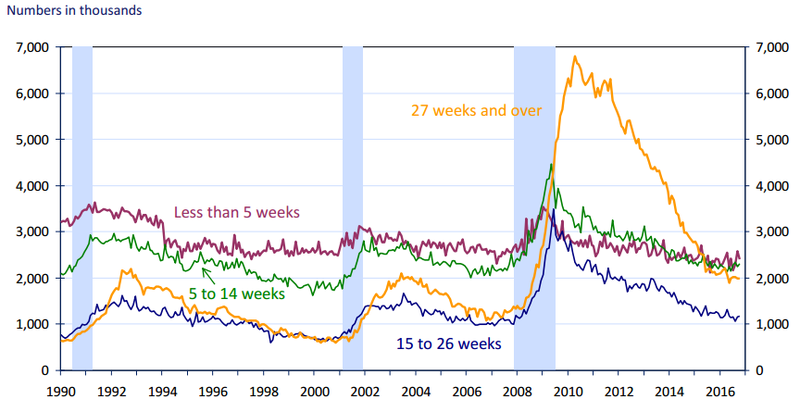 With an average of more than 2,000,000 people being laid off for 27 weeks or longer (during 2016), according to the chart below, it is clear that many more people have exhausted or will soon exhaust their unemployment insurance benefits, which are typically granted for only 26 weeks. Unless these people have substantial savings at their disposal, they are likely to default on their rents, mortgages, and debt payments and eventually fall into poverty if they cannot find replacement employment. The charts below show the September 2016 unemployment rates for States in which Intel Corp. maintains significant facilities (Arizona, New Mexico, and the three West Coast States). 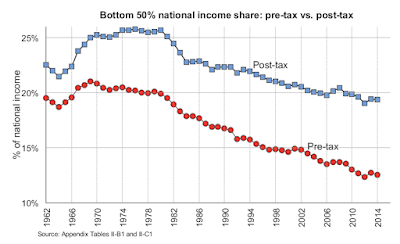 The national average, for the last 36 years is marked on the chart as a grey line. Periods of economic recession are shaded in grey. Although the general trend is for unemployment rates to go down from the highest levels of 2009-2012, the 2016 numbers seem to be bucking this trend. You can click on any of the above charts to enlarge the detail level. I voted for you in Tuesday's elections and so did many of my colleagues, believing that you will represent our common interests in front of the Federal Government. We fully expect Rep. Bonamici to scrutinize the operations of the executive branch, specifically the EEOC protecting us from age discrimination in the work place. I believe that the results of the last elections prove beyond doubt that the status quo cannot be maintained. Action and transparency are needed to keep this country running in the right direction. Let it be clear that we are an organized group of disenfranchised, highly educated and highly skilled people who happen to be mostly over the age of 40. Most of us have been unemployed between 5 to 17 months due to ineptness of Intel Corp. management and the impotent handling of our case by Oregon BOLI and the EEOC. We are representative of the group of voters that both the DNC and the RNC will be facing over the next two years, leading to the next election cycle. Whoever fills the ranks in the U.S. Congress cannot ignore the fact that age discrimination in the work place is not confined to isolated incidents or to any particular socio-economic group of people. In terms of gender, there is plenty of proof that women suffer from age discrimination even more than man. From our perspective, lack of action in enforcing existing anti-discrimination laws will lead to a major disaster in the economy while 70-80 million baby boomers are transitioning into retirement over the next 15 years. Corporate America is facing no law-enforcement challenges to keep their actions in check when it comes to age discrimination. Because executive management salaries are so disproportionately higher than regular worker's compensation levels and they mostly focus on short-term profitability, older workers jobs are being selectively terminated. These actions are typically disguised as "performance" related, because under existing law enforcement practices, a corporate employer has a very slim chance of being brought to justice by either State or Federal Government agencies. Older workers are essentially sacrificed to show good numbers on quarterly balance sheets, mostly because their salaries are higher. To politicians in this country this issue may seems insignificant at this time; however, if left unchecked, it will not be very long before the streets of our nation will be filled with angry men and and women who were forced to sell their homes in order to make ends meet. Ms. Bonamici, I call upon you to bring this issue into the U.S. Congress for proper review and corrective legislation; however, even before legislating, please follow up on our request to review the actions and defaults of the EEOC that are pertinent to our filed case. Thank you for representing us. I received an email about my 401k plan at Fidelity. All of you who still have your 401k there should also have gotten it. Did you look at it? The interesting stuff starts on page 7. Intel's Global Diversified Fun has returned -0.64%, 5.20%, and 3.63% over 1, 2, and 10 years. In comparison, MSCI World returned -0.32%, 8.19%, and 5.56%. 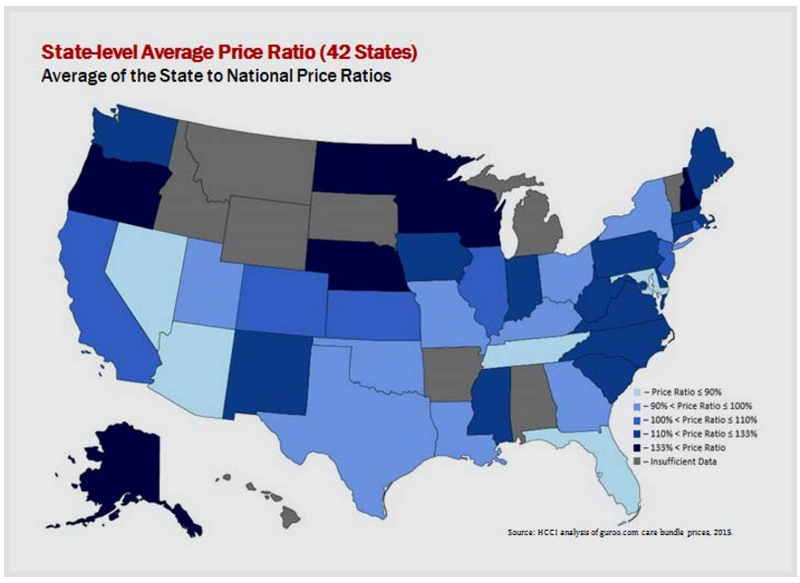 It also has the expense ratios. The document has info on all the non-standard funds in Intel's plans and compares them against publically available benchmarks and other funds. Staying at Fidelity means you have access to a low-cost account and lots of choices. You need to look carefully to see if you have made good choices. The Intel funds are not necessarily the best ones. A lawsuit was filed last year (http://www.oregonlive.com/silicon-forest/index.ssf/2015/11/intel_sued_over_risky_strategy.html) about this. It's getting towards the end of the year. Now is as good a time as any to look at your 401k and rebalance as needed. At times where the only genuine "made in U.S.A." product that you can identify on the market is a haircut, Intel Corp. executive management, in a revolutionary and amazing move, demonstrated their idea of "Making America Great Again". Following on the theme of "500 is better than 100", they introduced the "Light Show Drone" concept (see: http://www.slashgear.com/intel-shooting-star-drone-is-designed-for-light-shows-07463060/). This brilliant idea paves the way to endless number of possibilities of spreading money in the air, high above where even the most advanced haircuts can raise your hair. In the spirit of ex-president G.H. Bush campaign ad philosophy of "Thousands Point of Light" (see: https://www.youtube.com/watch?v=Sx5X3Jd8DI4), Intel Corp. is offering us salvation from the cheap and stinky Chinese fireworks that dominated every demonstration of patriotism in the U.S. for the last three decades. Undeterred by the latest news that Intel Data Center products have not reached the expected sales results, Intel top executives refocused their operations and managed to throw a curve ball to their competitors, before they could even lift their heads into the sky. Clearly, long-term reliance on the Chinese as the world's primary supplier of fireworks, has become a National Security issue. Can you imagine where we would be as a nation without mass entertainment on a grand scale? 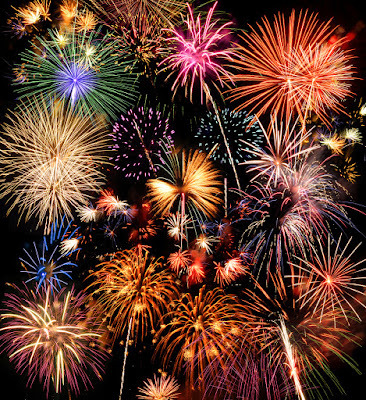 Why continue and support the Chinese economy by buying cheap and abundant traditional fireworks, when we could spend good millions of dollars, sending thousands of (Chinese made) lithium batteries flying over our heads to cheer our patriotic crowds? What do we live for if not for 15 minutes of fame (your mileage may vary)? Make America Great Again--Vote for BK. What is the power that individuals like us can use to change a system that is constantly corrupted by money? Can we change the behavior of large corporations or political parties by means that are directly available to us at the grass-roots level? The latest presidential election campaigns are proving that very large segments of the population are disenchanted by behavior of both the right and the left, large political parties. One survey after the other carries the same message--most registered voters in this country believe that the political system is dysfunctional and corrupt, mostly due to campaign contributions and the quid-pro-quo enslavement of elected officials, repeatedly depending on donors' money to retain their seat. A logical solution to avoid the entrenchment of money in politics--an idea that has been suggested many times in the past--is to establish public financing of election campaigns to level the playing field and limit the runaway cost of political campaigns. However, taking any step in this direction in the past, has been sabotaged and eventually blocked in Congress by the entrenched opposition of special interest groups with access to Big-Money. This opposition persists on both sides of the aisle. Can individuals like us defeat Big-Money interests and change the system? This is an open question that was looked at by many people over the years. There is no single answer to this question. However, by looking at some of the ways in which individuals who believed in a common goal were able to get the attention of Big-Money and changed their behavior in past could give us a model to follow. One of the extraordinary powers delegated to the banks in this country and around the world, depends on a mechanism that they have been gifted, to turn a single dollar into hundreds or even thousands of dollars. The key to this amazing financial popcorn machine is the savings account. If you ever wondered why every bank in your state is trying to lure you to open a savings account with them, the answer is simple. Banks use every single dollar in your savings account, to claim credit from the Central Bank. In the U.S. the central bank is the Federal Reserve Bank (FRB). Depending on their risk factor, as established by the Central Bank, each bank receives a credit that allows them to loan out, or finance, a proportional amount of debt, based upon the amount of dollars that you and people like you keep in their savings accounts. The ratio of dollars kept in these savings accounts to dollars loaned out can be 1:100, 1:1000 and much greater. 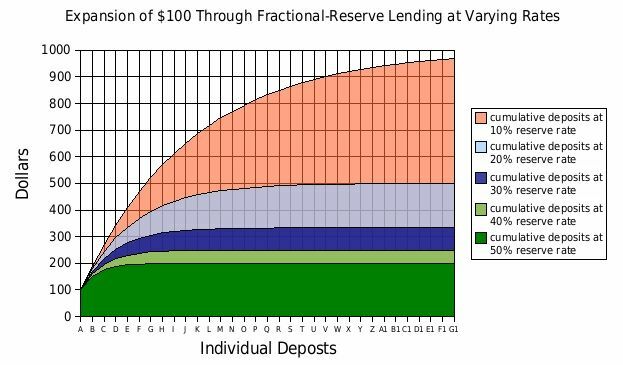 This means that every single dollar that you keep in your savings account is extremely leveraged (see: Money creation). Nowadays that we receive only "peanut dust" of interest income on our hard earned money and the stock market is moving sideways, wouldn't it be nice to get some value added benefit for our cash? Imagine that you are going to empty your savings account. What does it mean to the bank? Perhaps not much, if a single person does it every once in a while. However, imagine that 100 or maybe 10,000 people are emptying their accounts at the same bank. This affects the amount of Currency that the bank holds in its reserves. The amount of Currency that the bank holds at any given time, is determining (among other factors) the bank's ability to issue new money in terms of new debt obligations. When you withdraw money from your savings or investment account, your heavily leveraged money is working in reverse--If many people do that simultaneously, the bank liquidity factor becomes at risk, because unless the bank can recall its issued loans and convert collateral to cash in a short time, the bank will default or at least will face a major investment restructuring. This is unlikely to happen in a broad manner, unless the public "runs on the bank", as happened in 1929 (see: https://en.wikipedia.org/wiki/Bank_run). However, for each individual banking institution, the risk of savings or investment accounts being emptied due to public sentiment and the funds moving to a competitor's coffers, the risk is very significant. 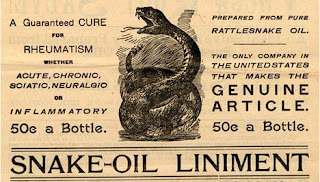 Of course inducing banks to default may not be good for the economy in the long run; however, if individuals with savings or investment accounts in specific banks want to send a powerful message to the Bank Board of Directors, they can use a policy of what Teddy Roosevelt referred to as "Speak Softly and Carry a Big Stick". In this case, make a symbolic withdrawal out of your savings account, followed by a message to the board, implying that you intend to withdraw all the money in your account and transfer the proceeds to another bank, because the bank invests in companies or interests that you are objecting to. To demonstrate to the financial institute management that you are not operating alone in this game, perhaps you and 150 other people would withdraw the exact sum of $1776.00 on the same day. If 15,000 people are collaborating in such a move, it is very likely that an alarm bell will be ringing in at the bank's headquarters. This kind of communication technique applies to investment banks, trust funds and company stock. Your leveraged money, is your power and if you work in concert with a group of people who share a common goal, the implied threat of disinvestment becomes a powerful tool. A case in point proving the financial power of the public is the success that the disinvestment movement had on changing the regime in South Africa during the 1970's. 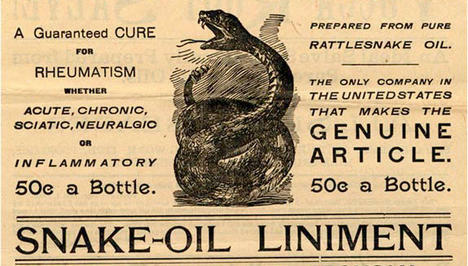 Other examples involve movement by environmentally conciseness groups to affect the activities of oil companies. The disinvestment movement is typically associated more with the political left than the right; however, there is no real reason for this distinction. Voting with your money is available to all of us. It is a fundamental and effective action that can be materialized by any grass-roots movement. Can you imagine a world in which people live to be 90 years old, yet are forced to retire at age 40? Can you imagine a viable economy being able to function in this situation? If the current employment trends continue, this is going to become our reality in just a few years from now. Not convinced that this is the direction in which we are heading? Read the collection of articles referenced through the links below and form an educated opinion of your own. Are you immune to age discrimination? Is this other people's problem? Are you waiting for politicians to solve this problem before you become a victim of age discrimination? Is Global Warming going to solve this problem? Your ideas and your actions (or lack thereof) count. Add your comments below. A brief update to our members and those interested in our Global Survey. These are some preliminary results as we reach the mid-point of the survey period. 32% so far have found new positions, but another 38% have not. Some people had new jobs within 2 weeks after leaving; those are unusual cases. On average, most people are taking over 6 months to find a new position. About 10% of the respondents have officially retired. The bulk left in June 2016. Although the bulk of respondents have been from the USA, we have also heard globally from Russia, UK, India, Israel, Mexico and even Hong Kong. The pressures to take the Voluntary Severance Packages (VSP) were quite high, and most left so they could get the best deal possible before more layoffs occurred. In a few cases of altruism, they said they hoped their leaving would help those left behind keep their jobs! Dealing with Unemployment is still a big issue. Some people assume they do not qualify, even though they never checked. We continue to encourage them to check. Even VSP are eligible in many cases. 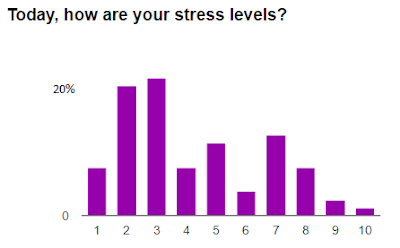 And most report that even though they may not have jobs yet, they are happier and less stressed than before. We will have more detailed analysis after the survey closes next week. The survey is for former and even current members of Intel.